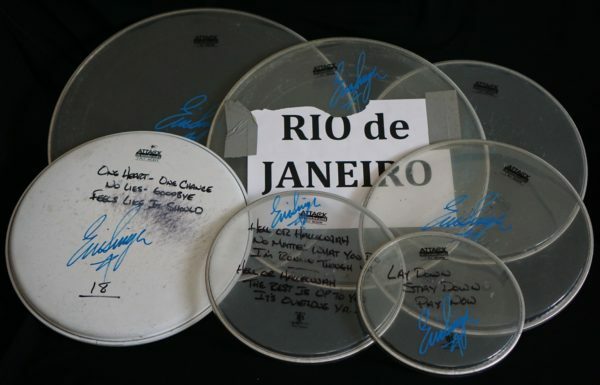 Available now: Eric Singer stage-played, autographed drumheads and drumsticks from The Tour. These are the actual drumheads and sticks that Eric beat on during the show. They were carefully packaged and labeled each night to ensure accuracy. These items are sold as pictured and does not include a meet and greet with Eric. Items will be shipped directly to you.